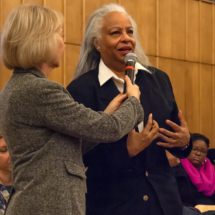 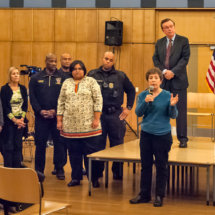 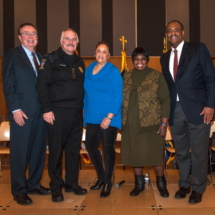 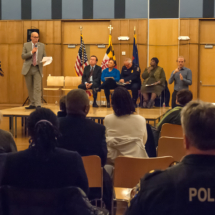 The Town Hall, Working Together for a Better Community, was co-sponsored by the Office of Human Rights, Faith Community Working Group, MC Police Department and NAACP. 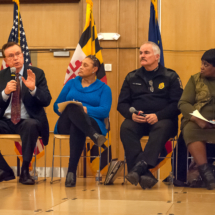 It followed up progress made since the earlier town Halls in July and pointed out what needs to be done today. 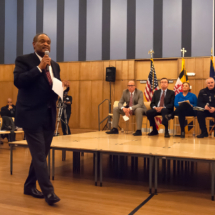 Chief among the outcomes were the Police Department being engaged in over 500 meetings with community groups, partnership between faith communities and NAACP, Black Ministers Conference and one another, and the Interracial/Interfaith Dialogue on Racism: Seeing the Divine in Each Other.